Athleisure is absolutely killing it in the fashion industry to the point that Global Industry Analysts Inc. is saying the market will reach $231.7 billion worldwide at the end of 2024. This also means that the competition is extremely fierce – like a modern gold rush – and you need to stand out from the competition if you want a piece of the pie. You need to prove your worth to the customers as well, since today’s shoppers seek experiences alongside your products. But instead of seeing this as an obstacle, think of it as a challenge! Athleisure is activewear worn for an everyday athletic look and comfort, rather than for going to the gym. Activewear for the gym is considered sportswear, and actually, there are many opportunities for customer retention there, too. This handy guide will show you the four steps needed to build an enticing athleisure loyalty program. According to the latest McKinsey Report, sportswear – and by extension, activewear – will be the dominating category in fashion in 2019. And you don’t need extensive reports to confirm its popularity – just look out the window: athleisure has taken over the streets. 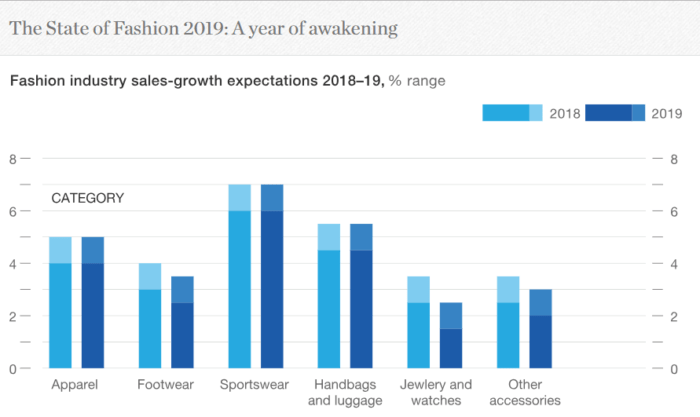 The State of Fashion 2019 forecasts that sportswear and athleisure attire will reign the fashion landscape for years to come. Getting a slice of the cake has proven to be difficult, however, as many sportswear brands capitalise on this mega-trend by adding athleisure attire to their existing offer. You have to strengthen the ties with your customers by becoming a part of their life. To do this, you need to really understand the people purchasing your products. 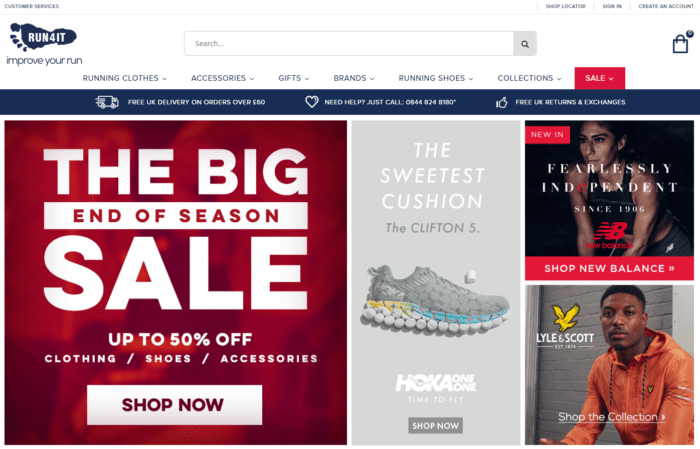 Designing a successful customer retention campaign is similar to running a marathon, since both of them require a lot of steps. But the reason so many companies stumble at the starting line is because they are fixated on giving discounts or rewarding transactional behaviour only. Let me tell you a secret: brand alignment happens outside the store. Those who are wearing athleisure are doing it for the experience, as activewear represents self-discovery and wellness. You need to tap into this lifestyle and be present for customers during everyday moments. Being able to engage shoppers outside of the buying cycle will help you stand out from the competition and increase customer lifetime value. Athleisure customers are looking for an active lifestyle, as they are on a constant quest for self-transformation. In this sense, clever little incentives can go a long way if you know how to present them in an alluring way. So why not introduce a tier system? Instead of simply presenting members a run-of-the-mill point economy, create a ranking system where they can advance to the next level by engaging with your loyalty program. This ensures that they keep coming back time after time and remain interested in your offers. The key to success is making the tiers appealing and motivating. The loyalty experience should be about the thrill of climbing the ladder. The names of the tiers should reflect this sentiment, giving customers the impression that reaching the top is an important milestone. 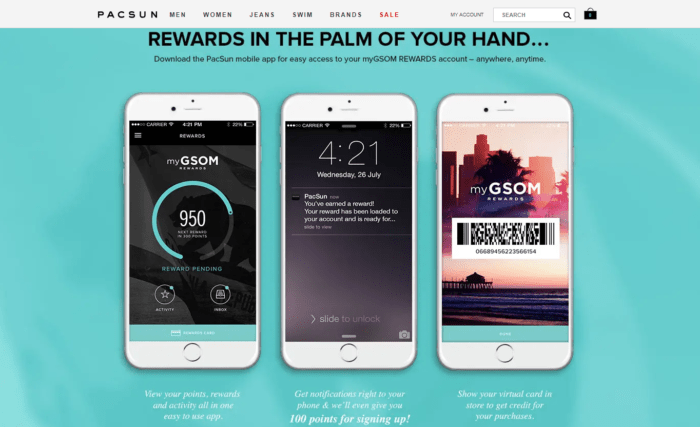 Athleisure company Pacsun’s loyalty program can be accessed from the mobile, which is very fitting if you are always on the go. Furthermore, the tier system unlocks new rewards at each milestone. Smart tagging is another relevant trend that’s steadily growing. It allows companies to insert a little chip inside the attire that sends information every time the apparel is being used. The reason why this technology is great is because you can reward customers for wearing your product and collect offline customer data at the same time. Companies like Awear help you achieve this. Still, the emphasis of the loyalty program should be on the emotional connection and not on the incentives. People want to engage with your program because it encourages them to work out more or live healthier, not because they want extra points. Athleisure company Run4It supports an active lifestyle by sponsoring various running events. Members closest to the brand are notified first about these opportunities. Your customers already have a shared love for an active lifestyle, so bringing them together is relatively easy. Consider creating member-only forums where they can chat or discuss lifestyle tips. Just look at LuisaViaRoma for inspiration, their Sneakers Club is the beating heart of their loyalty program. Additionally, gamification elements within the loyalty program can increase the rate in which customers interact. Still, nothing makes customer go as crazy as a private group. 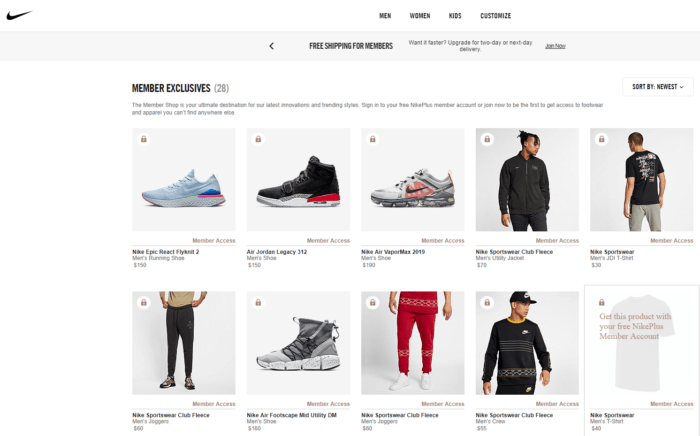 Nike reserves its most desirable athleisure product for members of the NikePlus community, thus driving engagement through scarcity. It’s impossible to have a personalised dialogue with a customer if they don’t have a fun time browsing in your stores, whether it be physical or online. With the rise of the ‘unique customer’ who values individuality and experience above all else, it’s essential to make your loyalty program truly omnichannel. 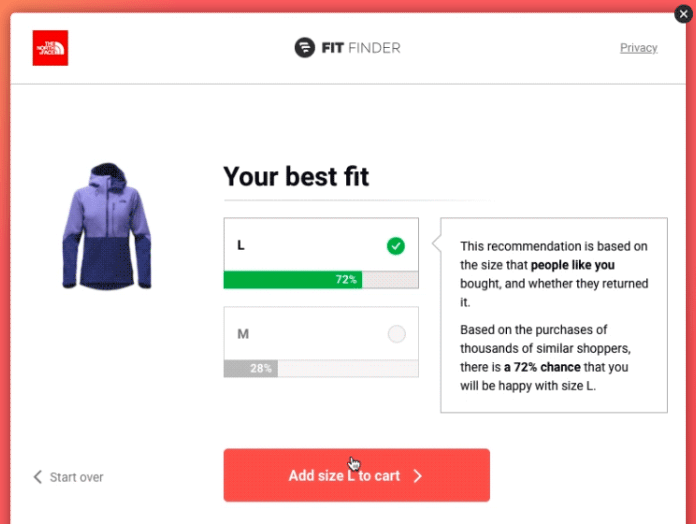 Fit Analytics’ sizing solution is equally useful for brands and customers. The former can shop more easily knowing that they don’t need to send back the product, while companies receive valuable customer data. Naturally, no two athleisure companies are the same. A good loyalty program always matches the principles and core values of your brand. Designing one from top to bottom can be a huge undertaking, but with the proper guidance it can be smooth sailing. We are always ready to share our knowledge and technology to make your customer retention exceptional. It’s totally ok if you wish to stick to your guns and build the loyalty program in-house, but I highly recommend checking out this ebook about how to design a successful loyalty program for fashion, just to get a strong understanding of how to get started.